Additional, super helpful info on the Merode Altarpiece. Website that allows you to look at the Ghent Altarpiece, photographed by the Getty in 100 BILLION pixels. 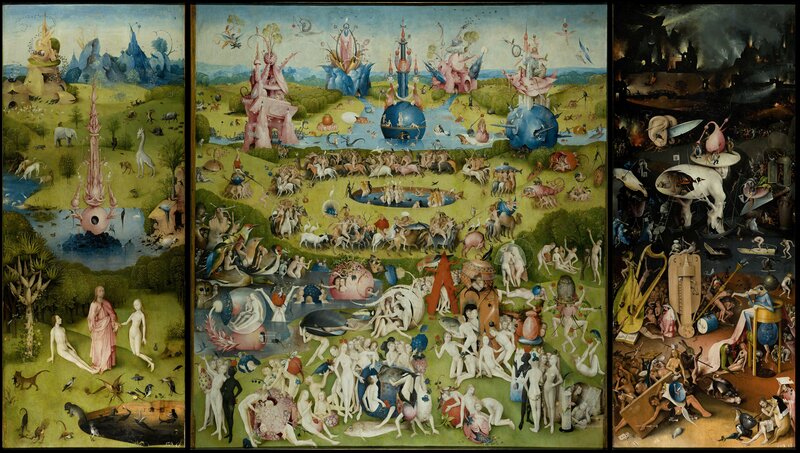 Take a closer look at some music from Hell from Bosch. Read about the various panels of Grunewald's Isenheim Altarpiece.